Hi. My name is Melissa and I am a book hoarder. I need an intervention. Seriously. I have way way way too many books. I know I get a lot of them as review copies in exchange for honest reviews right here at CLC. However, that doesn't stop me from buying more books and entering giveaways. (Side note...I recently found out that I won The Readers of Broken Wheel Recommend and I am super excited about that!) My husband knows I have this problem and made me go through the bookshelves in the storage room of our basement. (Since there's not enough room for all of them upstairs.) I did and it was painful to part with some of them, but I know that if I read them and they're just sitting on my shelf waiting for someone else to have a turn, or I have kept them around too long and have no intention of reading them (ex. books that were sent to me unsolicited or books I got at the thrift store because there was a massive sale and I thought I might eventually read them but then I changed my mind). In any case, I have more books than I can even keep track of. I have a hard time letting go of them too. I keep thinking I'll do the "does it give me joy?" method, but that just means holding onto books even though I have no time to re-read them anymore and someone else could benefit from a book I loved. 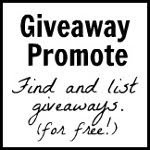 I do book giveaways. I donate them. I loan them out to friends with no due date. Still, for every book that leaves my shelf, five new ones appear in its place. This leads me to my second problem...I WANT to read all these books but my time is limited. I only have so many hours in a day and they're split between motherhood, marriage, work, chores, blogging, watching my shows, keeping in contact with my friends, etc. I read while exercising, eating breakfast, and eating lunch (most of the time). I also read a lot on Shabbat. Still, it seems like I can barely make a dent in my TBR collection. I have some methods, like book multi-tasking. I read one on my Kindle and one print book at the same time. My Kindle library is just as immense as my print library, if not more! For my print books, I have a pile of five that stay in my room. When I take one off the top, I add another to the bottom. It always stays a pile of five this way. This pile isn't always strictly chick lit. Sometimes I toss something in from a different genre that I've been wanting to read. My Kindle is far less organized though. I also have book club reads to take in consideration. Back to the issue of time. If I want to read all the books I currently own or plan to own/borrow in the future, I need a sabbatical. I need to go off by myself to an island with a bunch of books and just read non-stop for several months. That is not very realistic though. Having said that, I would appreciate it if no one asked me when I was going to read their book. 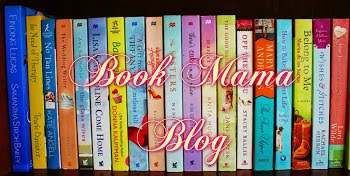 I find other ways to feature books at the blog so that they all get their time in the sun. I have a team of reviewers, as well. Still, they all have lives outside of reading (although I'm sure they're not as overwhelmed by the abundance of books out there). I only ask directly for books that I really want to read. If they are sent to me unsolicited, I might take them into consideration, but they are not high priority. (And usually they are not a fit for the blog anyway.) I am trying to stick to my sanity-preserving policy of reading what I want, when I want to read it. I don't want the blog to feel like a job. Even if I weren't blogging, I think I'd still feel overwhelmed with the amount of books I have and still hope to get around to reading. Did you know that I have not read two of Jodi Picoult's books that came out in recent years (House Rules and Sing You Home, to be exact)? I love Jodi's writing and I keep intending to read them, but then some other book "distracts" me from doing so. All I know is that I need some other system in place to go back and read books I was hoping to read a while ago and kept pushing aside. There are also so many authors I haven't even had a chance to try out yet. I only just read my first Debbie Macomber book this past month. I have never read a book by Elin Hilderbrand, Claire Cook, Diane Chamberlain, or Beatriz Williams. I have them on my shelf, but again have been "distracted" by authors I already know and love. 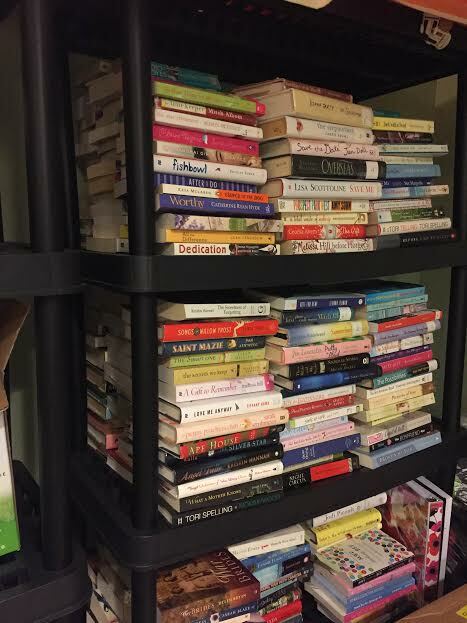 Does anyone else (who ISN'T a book blogger) feel overwhelmed by their book collection? 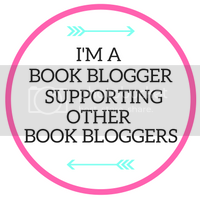 Does anyone else (who IS a book blogger) want to chime in about their own experiences with managing their TBRs? I'd love to hear your thoughts and feelings on this matter. You all know I love to read and am not going to give that up anytime soon. However, my favorite past-time shouldn't feel overwhelming! US/Canada only. 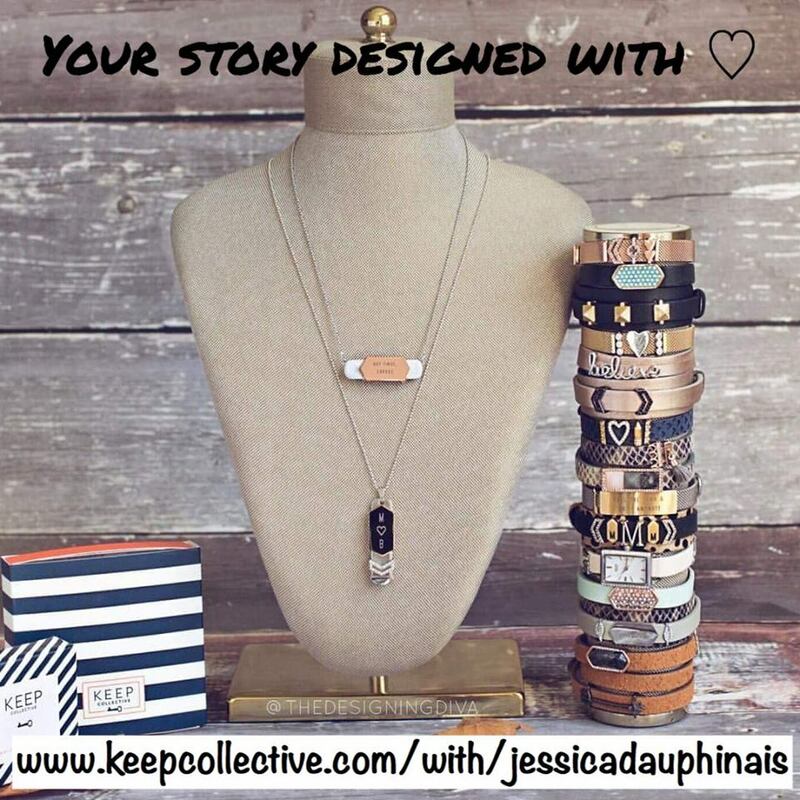 Giveaway ends February 15th at midnight EST. I enjoyed your post very much. I control my TBR pile by reading the books and then giving them to friends, donating them and giving gifts as well. This solves the problem and I don't have a huge TBR. Thanks for this great giveaway. Not a book blogger but have the same problem. My TBR (in my head and/or library hold list, if not actually a physICal pile) is out of control. My library holds always seem to arrive at once and then I have to read those books since they can't be renewed so I find I never get to books I actually own that are waiting patiently for me on the shelf. I have a newish baby so I have more time to read while he naps but I still feel I will never catch up. When I go back to work in a few months all bets are off. No good advice here. Every time I think I have a handle on controlling my piles of books the mountains of books seems to grow faster. Notice I used the plural; mountains, not mountain, because the stacks are in every room except the bathroom. I gave television up years ago, so I do have more time for reading. I use Goodreads to manage my tbr, but it keeps growing, exponentially thanks to you and Andrea. :) I've only just read my first Beatriz Williams book, and loved it. And I cannot believe you haven't read Elin. She's the perfect fit for you!!! I have a huge TBR pile also. Once or twice a year, I try to go through all my books and weed out the ones that I know I will never read. It's out of control! LOL I just pick and choose the best way I can! I do have hundreds of unread books on my shelves...hundreds. I don't really have a method for attacking them though. I only read one book at a time. When I finish a book I just walk over to my shelves, state at them all for awhile and then just grab one lol. No method to the madness. 1) I moved all my "own" books to the new book case, either books I have read and keep or other books that I got through purchase or trade that I have not read yet. I am not a book hoarder. Living in a 2 bedroom/2 bath apartment will nip that right in the bud! 2)The top shelf of my other book case I have my TBR, to be reviewed. They currently fit, but it remains to be seen if that will change. I do have a few on my e-readers. I do sometimes need to keep a running list of all review books and their dates, because having the e-books it's hard to remember since you don't physically see them. 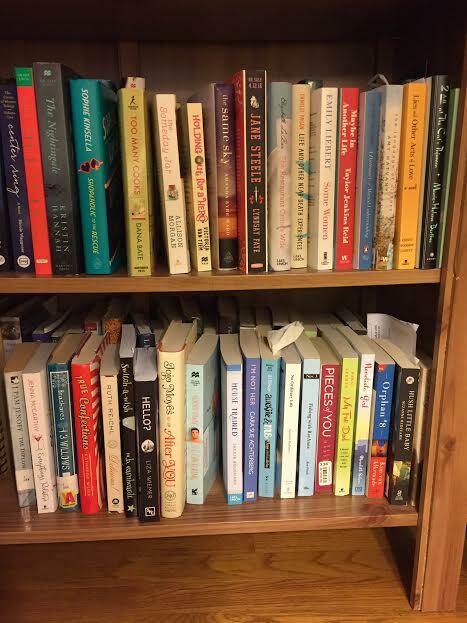 3)The second shelf is half taken up with my travel work books (I am a travel advisor by trade! )my writing books (Bird by Bird by Anne Lamott, Write Away by Eliz. George, etc) and my address books and a few journals. I anticipate my TBR overflow will go here. 4)The third shelf contains my files that I am working on of people's trips, but there is still more than half that shelf open. Now, the Nook has a lot of unread stuff, but I'm not sweating that, because I will read it when I go on vacation. My Kindle is new, so there's not much on there, YET!! I do have a plan sometime in the future to reno my family room. There are some awful, almost unusable shelves on either side of the fireplace. I'd like to make them into really useful bookshelves. I just love the look of books on shelves and the fireplace in the middle is just a plus. Sadly, we can all feel your pain. Hope some ideas come out of this. I am grateful I do not get too attached to things. My husband suffers that, so that is the purpose of the storage shed on our property! I have a TBR bookshelf! I use it like a library and browse through it when I want a new read, then I choose whatever suits my mood! So I don't always choose the newest, it may be a book a few years old or older if I got it at a thrift store! I, too, am a book blogger and I'm hoarding books faster than I can read them. The copies usually include giveaway copies and ones for reviews. Also, I keep a TBR jar, which includes classic titles, since I want to make time for them. At the same time, I'll read another book or two that catches my interest. Despite my expanding library, I continue to buy used books. I have wondered how you manage to read and to thoughtfully review so many books with such a full life. I commend you for it! 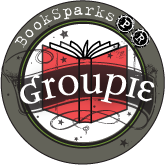 I'm not a book blogger, but I do belong to two book clubs and am counted upon to recommend books to several friends and family members. My TBR list is ridiculous and my physical book shelves are very full, so I try to pass books on to other interested readers unless I can't bear to part with an especially beloved book. I read books in hardcover or trade paperback, on kindle, and less often, on iphone. 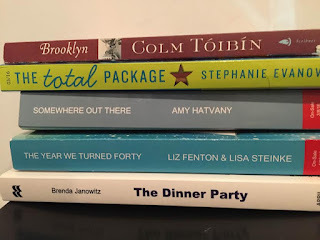 Because my physical space for books is not growing while my TBR list is ever-expanding, a few years ago, I began to rely on our excellent public library system. I typically have fifty hold requests and an average of twenty books checked out and believe it or not, this helps to manage my reading priorities. If a title is coming due and is in high demand, I try to read it first, while juggling older titles for later. The books I own, whether paper or ebook, sometimes get pushed to the bottom of the stack, simply because I know I can always pick them up later. I read a variety of genres and try to alternate my reading selections between them so I can better appreciate individual works. I might read a literary novel that challenges me, then switch to a smart thriller or a light comedic story, then back to a short-story collection. I love them all! 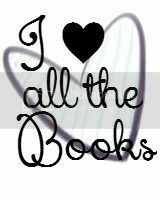 OH, and I love listening to Book Riot podcasts: All the Books, Get Booked, etc. to hear about new books. Happy reading! 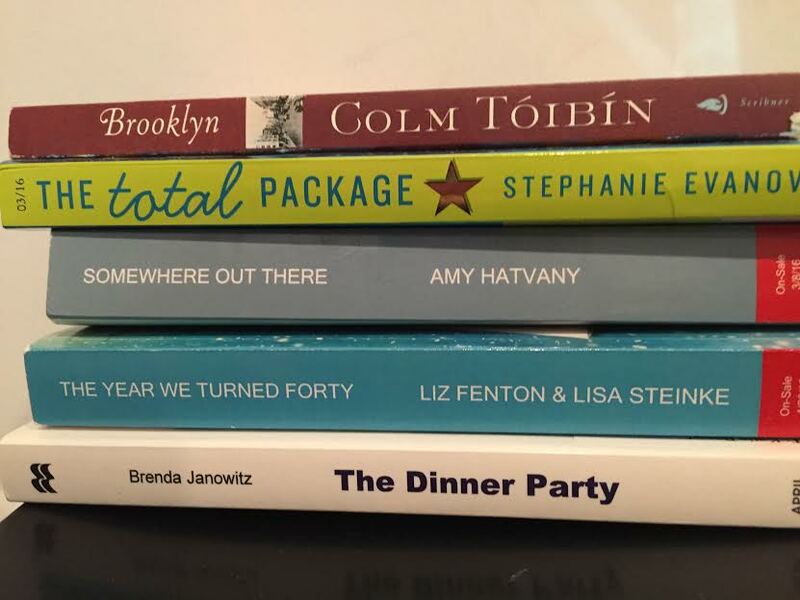 For your pile of 5, maybe you can commit to always having one book by an author you haven't read or a book that you have had for a while but haven't read yet in the pile. Maybe every 3rd book you read, you add one of those? I am not a blogger but I too struggle with having too many books. I recently moved and decided that i didn't want to keep carting all these books with me. So i was ruthless and culled my collection by almost 2 thirds. I got rid of all the books I had already loved except for a few that i absolutely love. I barely have time to read all the new books coming out that i won't be rereading anything soon. Now once i read a book, I give it away. I also try to borrow more from the library so my shelves at home don't overflow. I am not a blogger. I am addicted to blogs that give away books and websites that lead me to free kindle books. My Amazon cloud is so full of free kindle books, I think it will explode one day. My bookcases are so full they lean. I also have stacks of books all over. I am obsessed. I cull my books on a regular basis and send them to the library bookstores. How do I handle my TBR piles? I rearrange them on a regular basis. When I get a new book that looks good, it goes to the top and my pile gets shuffled once again. The kids (adult) don't dare touch my book piles. The only way that I can manage my TBR pile is to keep a listing of the books I have, and one of the books I've read. I also read as much as I can as fast as I can. Manage? That's not a word I can associate with my TBR pile. I usually stick them on the shelf sideways, but now that I have run out of space a lot of books get put back on sideways. I need a new system. I don't think I manage it really well, lol. I think I have like 800 books on my kindle and at least 50 I own that I still need to read. Sometimes it stresses me out to think about it, lol. I have tons of books too. But sadly, I have to donate them to the library and such because when we move, we're only allowed so much weight. It's tough for me to let go of my books! Fortunately or Unfortunately, I have the same problem with my TBR pile. I have stacks in my bedroom and in my family room. As soon as I read a book it goes to a friend to read and I pass them around. When the book has been read by everyone in my reading circle I donate it to our local Library. Unless it is signed by the author and then I keep the book. I have books that have been sitting in the corner with their pages raised saying pick me, pick me! I just read what I am in the mood to read. I always have two books going at the same time. The problem is there are not enough hours in the day to read. I wish you luck with your TBR pile. How I manage my TBR, you ask? In many piles of 8-10 books all over my apartment. I'm moving to a new apartment in March so the move will give me an opportunity to do some rearranging. I just donated 50 (gasp!!) books to a nursing home. It hurt so bad but felt good too. Then there's the Nook AND the Kindle. If I live to be 110, I won't even come close to finishing my list. I will definitely need some pointers, especially since I'm a brand new blogger. I hear you. When I retired last year, I joined so many book clubs. Between the BC's and writing reviews for New York Journal of Books, I was way over committed. Reading that fast meant I couldn't savor the books and reading felt like work. Took me awhile, but I decluttered my bookshelf, giving away the "3"s .
I often donate books to Big Brothers, Big Sisters in hopes they will turn a young person on to reading. How do I manage my tbr pile? I don't. Unfortunately, I keep reading a book that was not supposed to be next in line. I have a shelf. Keep your pile of 5 sounds good, but always make one of them a "have put aside for too long" one. Might work. Great post. You said it perfectly. 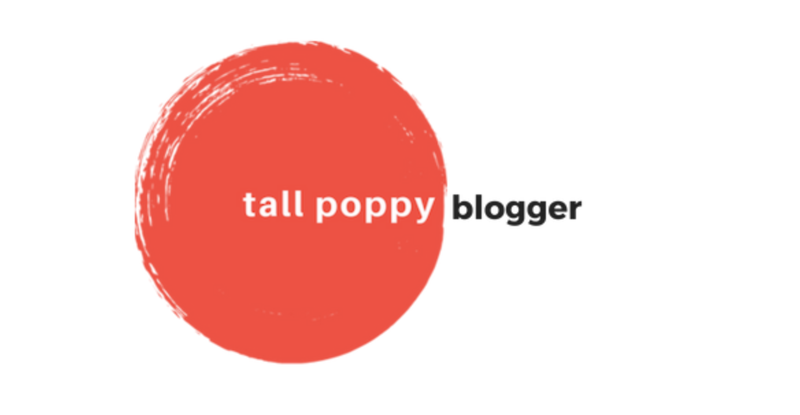 I am not a blogger. That would be far too stressful since I get so "distracted" by other books that I am always writing the reviews I promised to do for giveaways or ARCs at the last minute. They are always done but it feels like writing that term paper again. Why do I get myself into this? Because there are just so many good books I want to read. Nope, my TBR pile is not managed. I start out with good intentions: read one from this genre, then that one, read a paperback, read a non-fiction, stay with a theme. . . but then I read the a book in a series and have to catch up or go back and read the entire series, or I decide to go back and read an old favorite. I tell myself NO BOOKS when shopping. Oh well. I put them on my shelves (hubby keeps saying "You need MORE shelves??") and then look around and there is another little pile of books I have won or bought. And of course there's the library. I think it's gotten worse since I discovered blogs. One books leads to another to another to another. But I wouldn't change it - stop reading, no way! - and thanks to you and your blog I have discovered so many new authors to love. It was just great to hear what others who love books as much I as do have to say. I stink at managing my to-read pile. I do a lot of reading on my Kindle and use a lot of library books so usually whatever is due first or comes up in my request queue. I do usually try to have something non-fiction going on at the same time as fiction. I think it is probably harder when you are a blogger who is reviewing books in a regular basis. I do try to throw in an "oldie" every once in a while and also trying to read some classics that I never read by staggering those every so often. Sometimes I just want to read chick lit, other times I want someone who can really turn a phrase, sometimes I want something that helps me escape, and sometimes I just want a gripping thriller that is intense and exciting. I usually let my reading appetite dictate what I want and hope that it all balances out in the end. Sorry to be of no help at all, other than being a fellow bibliophile who gets it. P.S. Thank you for the giveaway opportunity! Very generous of you. I am a new to book blogging. Your blog is very timely! I'm not a blogger, but I do have stacks and stacks of books, many of them still unread. I try to mix up what I read all the time, if I read something I recently bought/won, then the next book I make an effort to dig through the stacks a bit for something that's been there awhile. After I read, pass on to a friend. Or sometimes will take a few to senior center to share with others there. Unfortunately, I can sympathize all too well. I will never be able to read all of my books and for every one I read at least three others appear. In the past few months I have started to get serious about culling my collection. Anything signed or by a favorite author stays. If I have several books by an author and yet have not read any, I will read one and if I don't love it, then the whole lot goes. If I have met the author and was less than impressed (this has only happened twice as most authors are simply wonderful), I give away any unsigned copies and refuse to purchase any new titles. I have given away just about every book I have read and have no chance of ever having it signed, as well as those that I have just lost an interest in. There are so many new ones that I would rather read. In order to read just what I love, I have stopped requesting books for review. It seemed like I could fit those in but nothing else. I try to alternate one new book and one book that I've had for a while but that hasn't worked overly well for me. I've had to get very creative and look for different ways to cut down on the books. Something a little unusual that has helped has been requesting to be "friends" with authors whose books I enjoy on Facebook. If they don't accept, I get rid of their books from my shelves and don't buy new ones. I have been pleasantly surprised and equally disappointed. Mind you, I'm talking about the authors who clearly have thousands of friends and keep most things book related. I know several authors have real Facebook accounts under completely made up names. I don't try to friend them there and I keep my own account strictly book related. I gave away more than a thousand books last year alone sticking to these tactics. I still have too many and continue to buy more, but books make me happy, provide hours of enjoyment, and are cheaper than many other indulgences so I try not to be too hard on myself and just embrace my book addiction.